Oops! 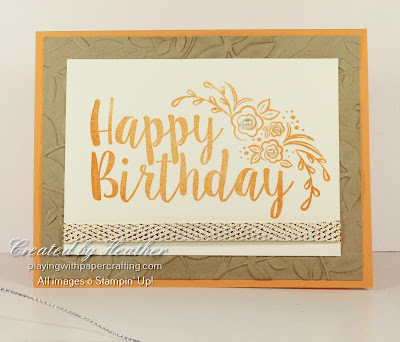 I was so absorbed, getting my samples completed and posted for my Birthday Buffet class coming up this Saturday, that I completely forgot to do a post for today! Oh, well, better late than never, I suppose. 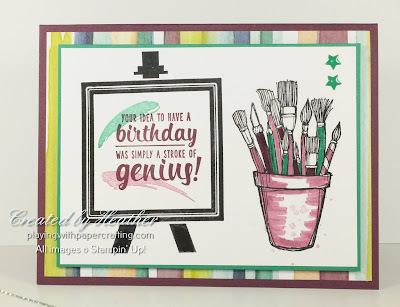 I thought I would just let you in on all the 8 designs I came up with for the class. I'm asking the participants to let me know ahead of time how many of each they will be wanting to make so I have some idea of how many to prepare. 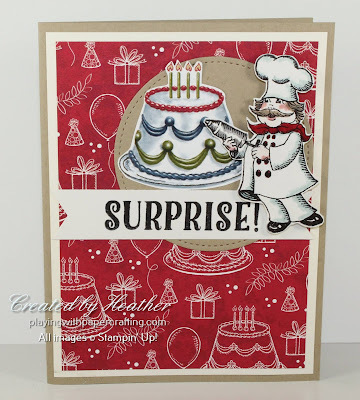 I wanted a variety of cards to meet everyone's needs and they had to be simple so they wouldn't need a lot of demonstration and wouldn't take a lot of time to do. Participants have only 3 hours to complete from 6 to 16 cards, depending on how many they want to do. 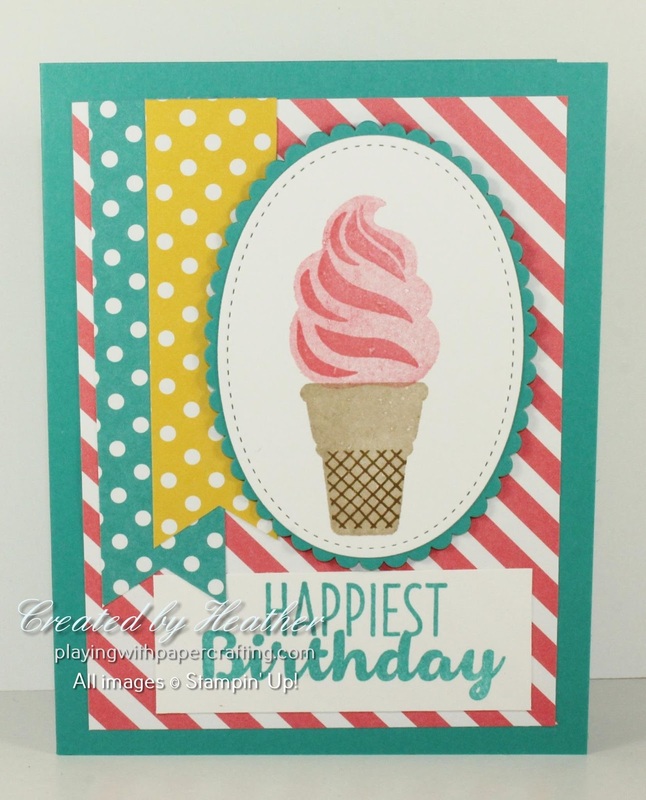 This is a juvenile design, but would be fun for anyone. 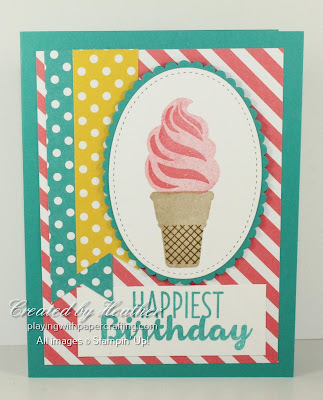 It features the Cool Treats stamp set and some retired Designer Series Paper Stacks I would like to use up a bit more of! It's a bright and cheery design! This is the other juvenile design, based on the new Birthday Delivery Suite and featuring images die cut from the Birthday Memories Designer Series Paper with the Birthday Friends Framelits. Easy to make, but fun to look at. Collage stamped with the Oh, So Eclectic stamp set and a sentiment from Birthday Blossoms, this lovely feminine design will have universal appeal. 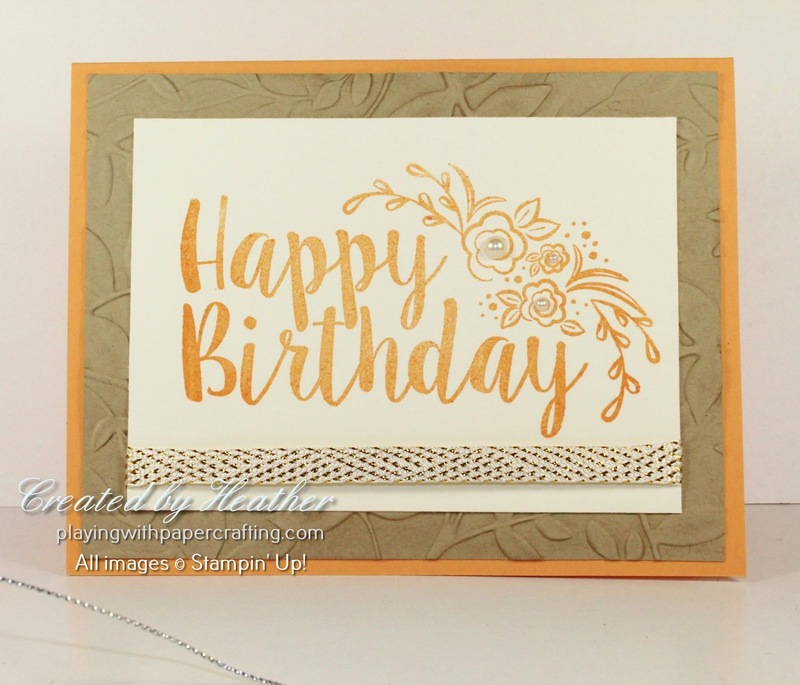 With an image from Big on Birthdays, and a background embossed with the new Layered Leaves Dynamic Embossing Folder, this is the second feminine design. 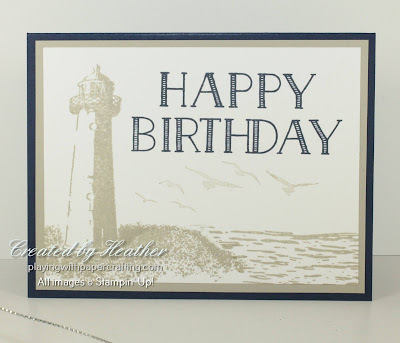 Going nautical is always a great idea for a masculine card and with the bold sentiment from Big on Birthdays in Night of Navy as a focal point, it creates a great card for any guy. Most guys like motorcycles, even if it's just the idea of them. 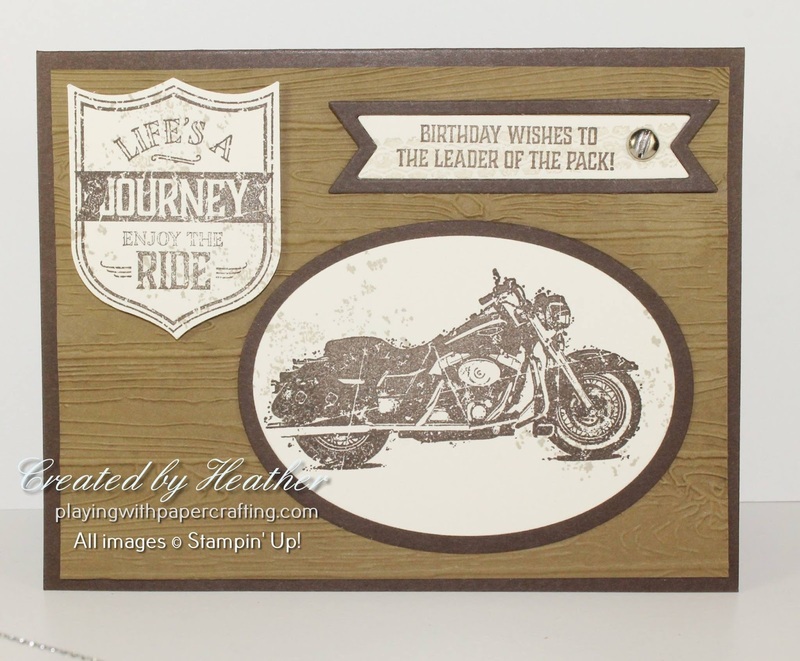 One Wild Ride, along with the new Pinewood Planks Dynamic Embossing folder creates a great masculine card. Like a little humour in your cards? Here's one for anyone getting a little older, but who can take a joke about it! If you can't laugh at life, why bother, eh? 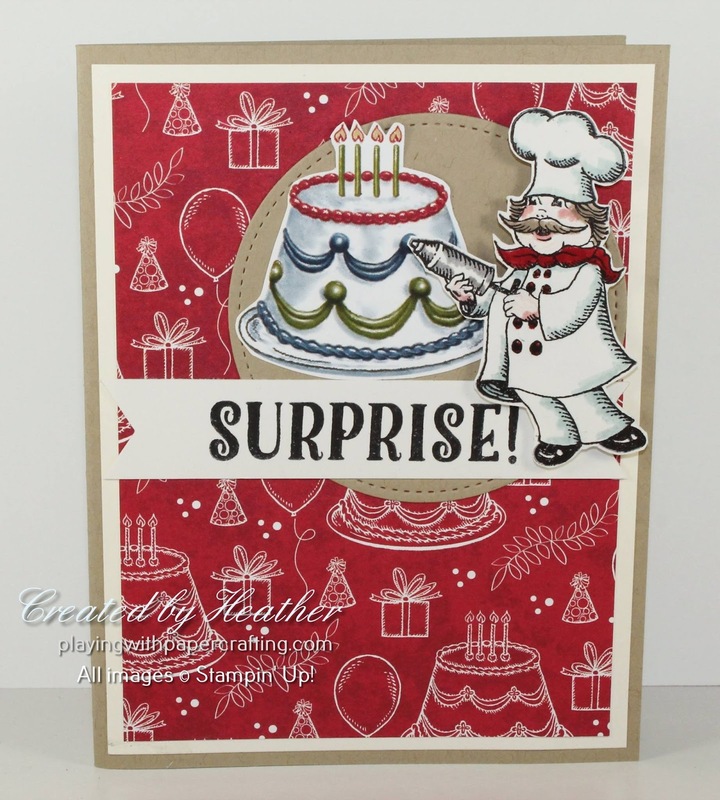 This one uses a great little sentiment set called Five for All and the At Home with You bundle for the opening door. 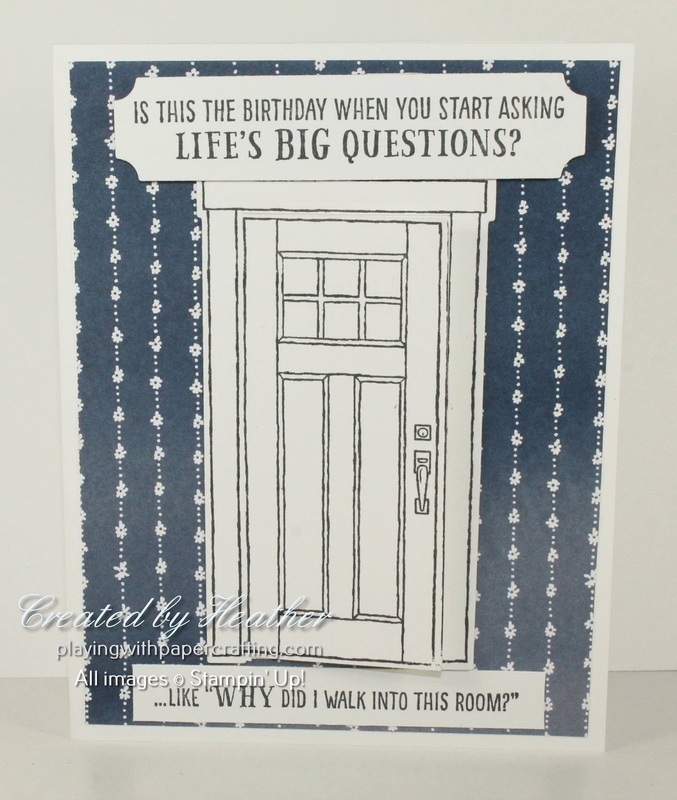 There's also a little secret message inside the opening door, courtesy of Teeny Tiny Wishes! 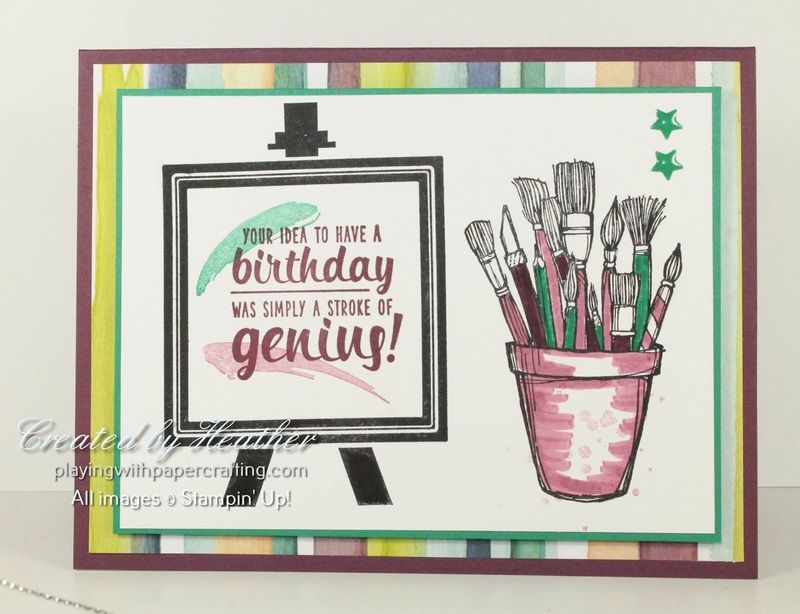 A generic card that would be great for a crafter, a young adult or anyone really, this card is a marriage between the Crafting Forever stamp set and the Painter's Palette stamp set - a new set with an old one, with some Naturally Eclectic DSP in behind! 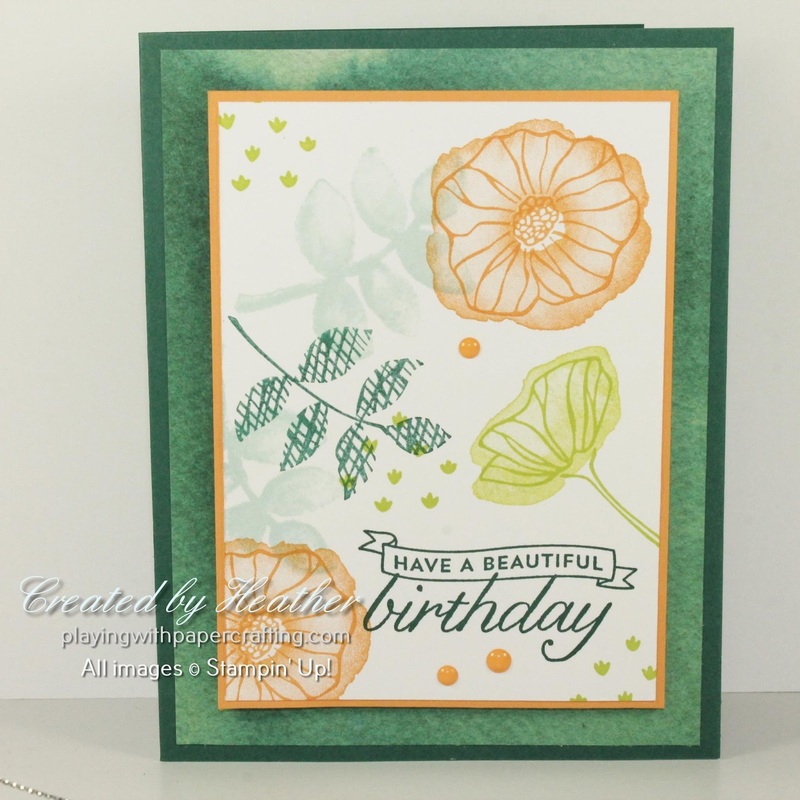 Hope you enjoyed this little peek and if you're in the area, sign up for this class!